On this auspicious day of Rakshabandhan, when the sacred relation between a brother and sister is celebrated, it is worth taking a nostalgic visit of Bengal in 1905. In the wake of first partition of the state, this festival of inseperable bond was observed in a unique manner to mark a symbolic protest. There is no other record of a festival being used to send a signal to the British who were out to divide India. 110 years ago, when the country was gripped under the control of British imperialists, the colonial rulers came up with a nefarious game plan to divide the growing harmony between Hindus and Muslims, who were soon adopting a national identity in the politically advanced state of Bengal. To break-up the harmonious co-existence, the then viceroy of India, Lord Curzon ordered the partition of Bengal based on religious grounds. The Muslim dominated region of Assam and Syhlet (now Bangladesh) were to be separated from the Hindu majority region of West Bengal, Bihar and Orrissa. According to the British government, the rationale behind the move was purely administrative. However, the real motive behind the partition was to further their policy of divide and rule. This fact is validated by the meeting held by Lord Curzon with a delegation of Muslims in Assam in June, 1905. Curzon attempted to convince the Muslims that they need a separate state to preserve their “Mohammedian” identity. The orders of partition were passed in August 1905 and came into effect on October 16 of the same year. Co-incidentally, the date of separation collided with the Purnima (full-moon) of Hindu calendar month of Shravan. The day is celebrated as Rakshabandhan. However, in order to mark a symbolic protest, the backbone of Indian freedom struggle – Rabindranath Tagore, decided to observe the festival in a distinguished manner and send a strong message to the British Raj. 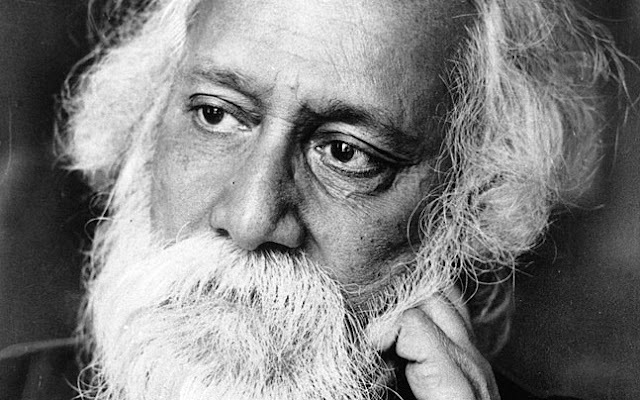 Tagore urged Hindus and Muslims to tie rakhi (thread) on each other’s wrist to express solidarity with one another. The call of Tagore was adhered to by members of both the community. Hundreds of Hindus and Muslims in Kolkata, Dhaka, Sylhet came out on the streets and tied the knot of unity with one another. Such an appeal today may find no takers with fringe elements from both the communities using the opportunity for their political gains. But back in 1905 both the communities wholeheartedly took part in this unique protest that rattled the British administration. For the first time in Indian polity, religion was used as a factor of unity rather than discord. Tagore should be given credit for using faith as a measure of inter-community linking. This method was later continued by Mahatma Gandhi who made attempts to involve Muslims in mainstream agitation, the most prominent being the merger of non-coperation movement with Khilafat. After six years of rigoruous protest, the partition of Bengal was nullified in 1911. The struggle against the division was led by members of both West and East Bengal. The growing Hindu-Muslim bond was one of the factors which made Tagore write the revered poem Amar Sonar Bangla. However, Tagore’s vision of an unified Bengal was shortlived. Three decades later, the venom spread by communal elements was strong enough to permanently dent the pluralism of Bengal.